Customer satisfaction is our number one priority. 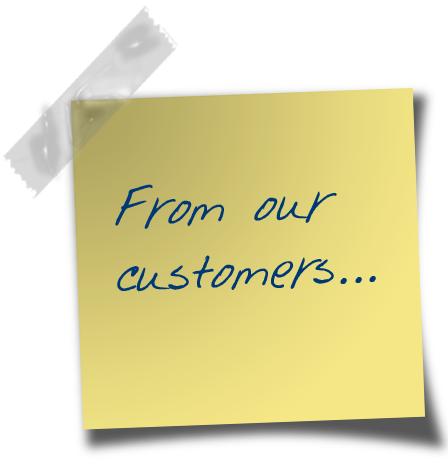 See what some of our customers have said about us. Very many thanks for the great job your team did on Saturday! To have our roof, including all FRT and CDX decking, completely replaced within 6 hours was amazing. And what a wonderful job they did of cleaning up afterwards - they left the front & rear yard, and our decks, spotless. Well done! I contacted Charlie with CAT Roofing back in May of 2011. He came out and measured my roof and wrote an estimate for me. He even did a few small fixes while he was on my roof. He was friendly, knowledgeable and didn't pressure me at all when I told him it would be a few months before I could have my roof done. In that time I had other estimates done on my roof. CAT Roofing had the best prices compared to industry leaders by almost half! I also checked with other small roofing businesses, but none could compare to Charlie's knowledge, professionalism (punctuality, cleanliness, etc) and friendly attitude. When I called him again almost 8 months later, he happily came out again to set up the final arrangements. He listened to my concerns, ideas, and preferences and took them all into consideration. He made multiple trips out to show me different shingle colors and qualities. I felt good knowing I was getting what I wanted, and not what someone else felt like I should have. His crew arrived at the exact time he said they would, and even worked on a Saturday. They were clean, friendly, polite, and efficient. They were also super quick, finishing the whole job in just 4 or 5 hours. That included setting up, tearing off the old roof, replacing 10 sheets of plywood, laying the paper, the shingles and clean up. Charlie stayed behind to finish up some extra work with my gutters. He also repaired some siding and other small things. CAT Roofing was the epitome of professionalism and hard work. I am looking forward to having them work on my house again when I replace my windows and doors. I do not hesitate recommending Charlie and his crew to anyone. "Thanks for the great work you did on our house.. I feel lucky to have found a trustworthy,reliable company that puts the customer first. Not only did you do a great job on the gutters, but you made it a priority to finish the job before the upcoming storm. It's nice to have finally found a great gutter and roofing company. Great work, honest price, and reliable... What more could a customer ask for ! "